These croquettes were prepared following a family recipe. 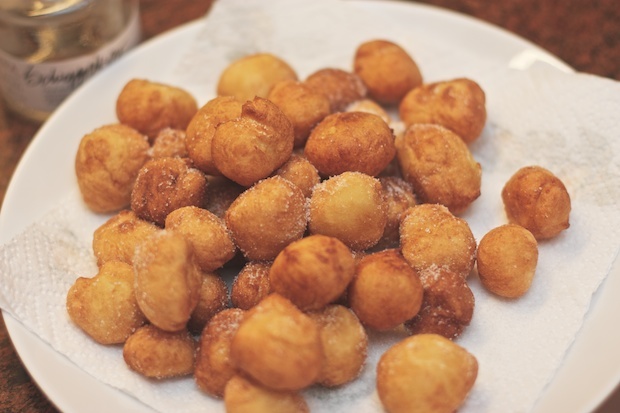 We can define this recipe by the meeting of an international preparation and the spirit of Friuli to use what you have to “sweeten life”, especially when children are present at the dinner table with guests. Every birthday my son asked his Aunt Gina to prepare these balls to be served instead of potato chips, his friends also loved them. We can accompany these with veal chops or breaded cutlets if we want to complete the dinner. The best way to enjoy them is as a snack are maybe for the feasts of children or grandchildren. These are a healthier alternative to the various fried things at the supermarket. 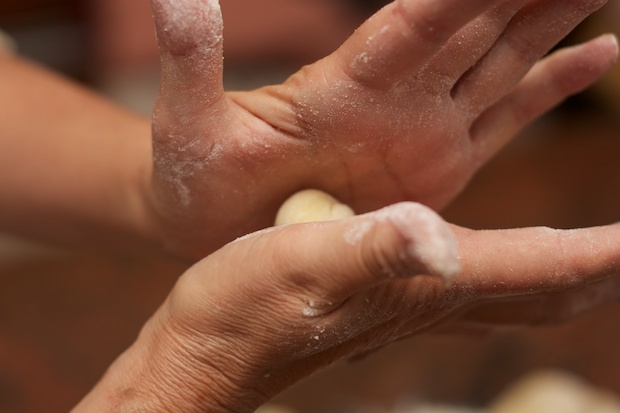 The preparation calls for a bit of grappa to be added to the dough. Rest assured the children do not get drunk because the alcohol evaporates during cooking, leaving only the aroma. 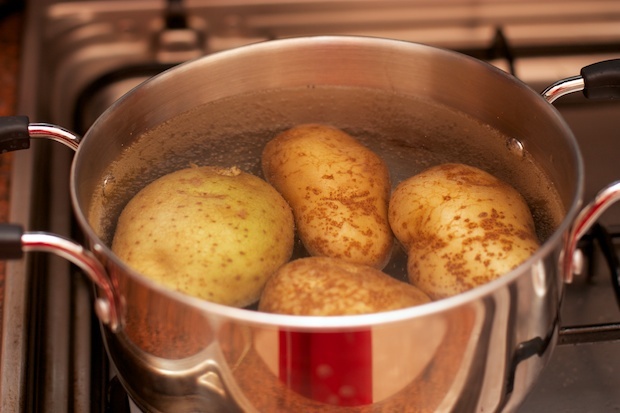 Put the potatoes in a pot (after being washed) cover with cold water and cook for about 30 minutes. 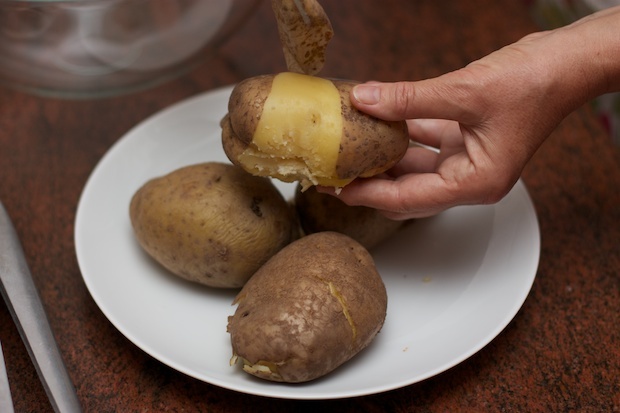 Check if they are done by piercing the potato with a fork. If they are cooked, the fork will enter in easily. Drain and let them cool. Peel. 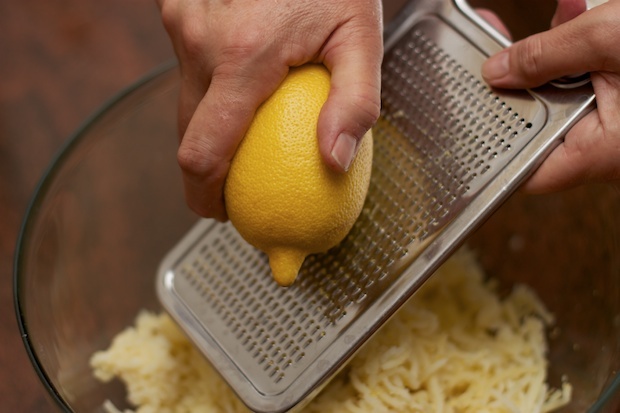 Insert them one at a time in a potato ricer, dropping them in a large mixing bowl, allow them cool completely. Form a depression in the center where you will crack the egg. 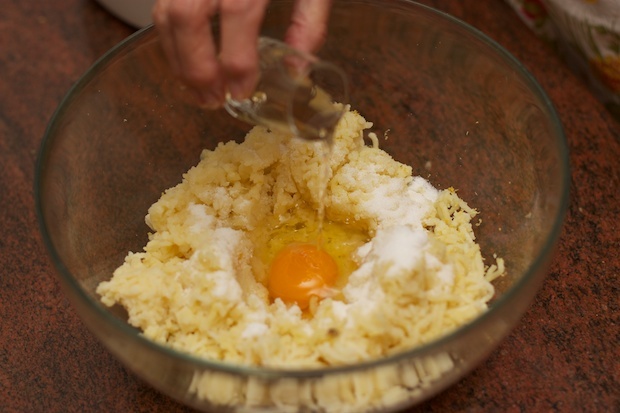 Add the brandy and sugar. Form a ball, pour it onto a floured marble table. 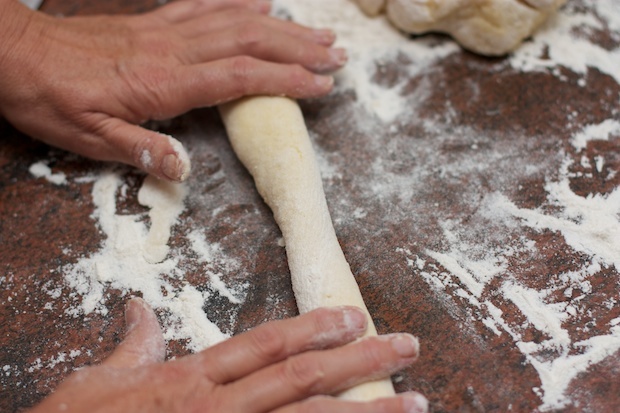 Divide the dough into loaves. 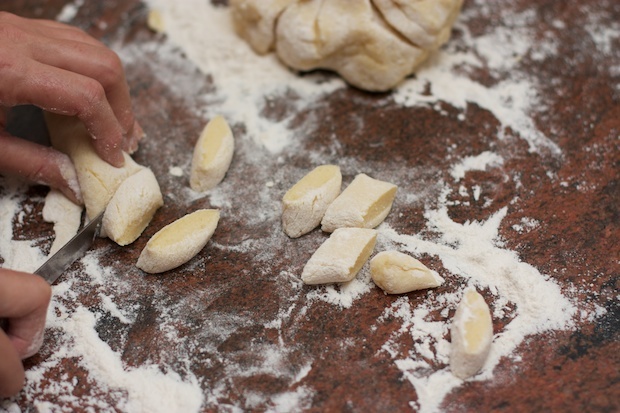 Cut with a knife and with floured hands into balls. Put the oil in a pan to fry. When the oil is hot fry the balls a little at a time. 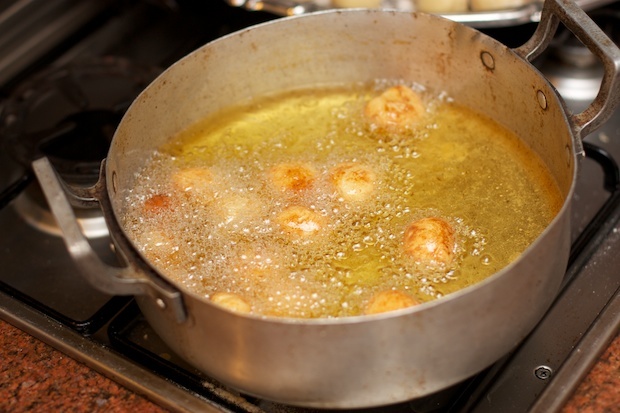 With a slotted spoon to turn the balls, check that the oil is not too hot and when necessary, lower the flame. 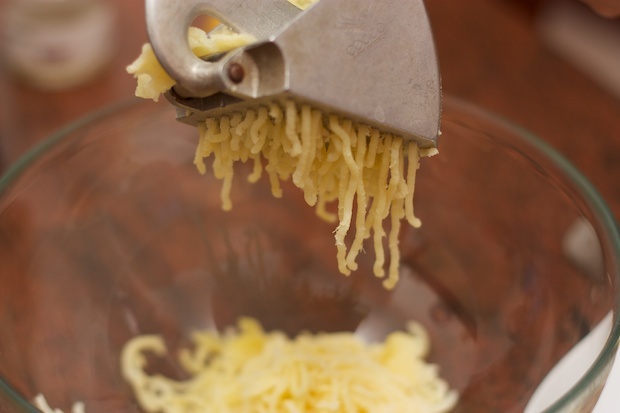 Remove them with a slotted spoon as soon as they are golden and place them on a paper towel. 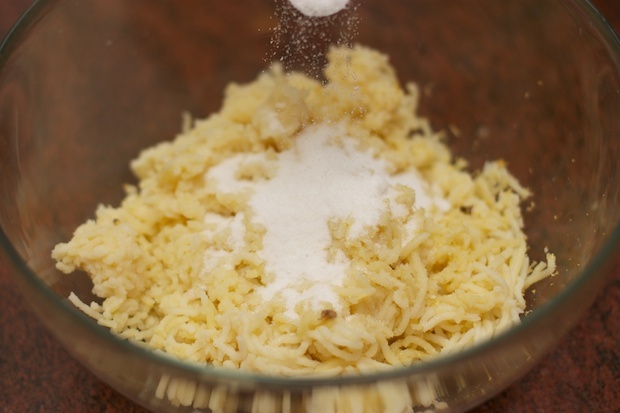 Sprinkle with sugar and serve hot.